Ukulele Heroes is a gritty romp through the 125 year history of the ukulele. From the time the “machete” first came to the Hawaiian islands in 1879 via Portuguese workers aboard the British ship Ravenscag to the present time, author Ian Whitcomb follows the little instrument as it ebbs and flows through history. He recounts the two most popular stories of how it became known as “ukulele”. Largely focusing upon the personalities behind the ukulele’s popularity, Whitcomb does a remarkable job of explaining how the various character’s own times and talents helped bring it into the hands and homes of millions. His proper British upbringing shows in his wording and style, adding to the experience. The ukulele first broke through in America during the vaudeville and tin pan alley era. It’s small size and relatively short learning curve made it ideal for traveling performers. With short vignettes, photos, and ample color music sheet and poster art, Ukulele Heroes draws the reader into the world of stage and screen. Aptly named Heroes from the jazz age include Cliff Edwards (Ukulele Ike), May Singh Breen, and Johnny Marvin. From across the pond, George Formby, Tessy O’Shea and Billy Scott are featured. The Heroes found success during their lives, but not all led happy ones. The author does a wonderful job of hitting the highlights while mentioning the lows without beating the reader over the head. There are other more detailed works on many of the Heroes. 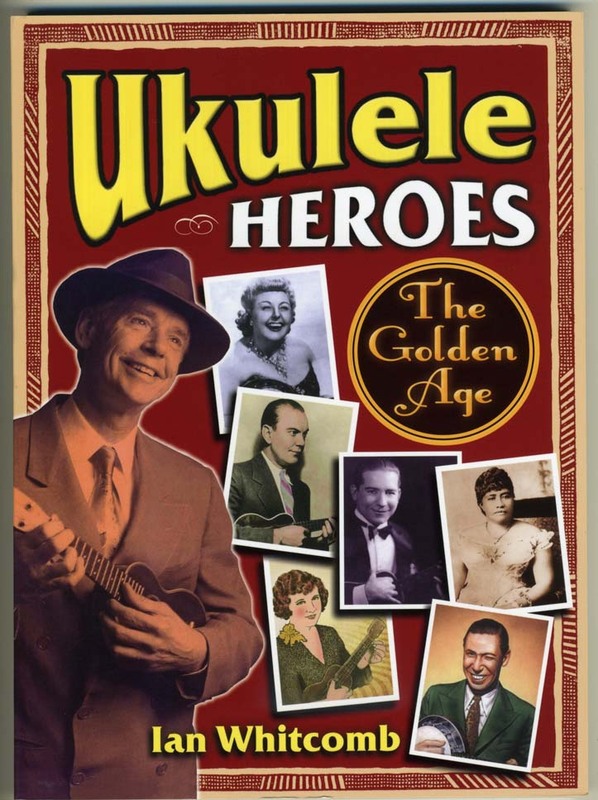 Whitcomb sticks to the script and informs us about each Heroe’s role within the ukulele movement then moves on, making this an engaging read. There are numerous images of music book covers, but no sheet music is included. This is not a book to teach one how to play ukulele. Rather, it is meant to recount the colorful, continuing impact of the ukulele on the music world at large. 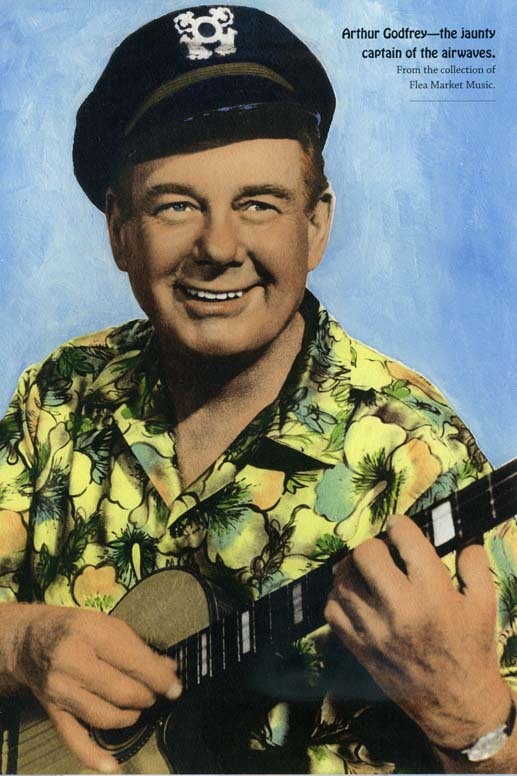 Whitcomb follows the ukulele’s first reawakening on television by way of Arthur Godfrey, Tiny Tim, and even his own stint as teen idol. Modern day acts are mentioned along with the rise in ukulele clubs, activities, and events worldwide. The author provides song and film titles for the interested reader to pursue the Heroes beyond his book’s 166 pages. While undoubtably meant for ukulele players looking to tell accurate stories about their favored instrument, Ukulele Heroes will also appeal to Americana music history buffs. Heroes is an accurate term for the highlighted entertainers and it's tough to imagine how they managed to pull off what they did when they did it. A ukulele resurgence of sorts is currently underway. One can learn to play and be enjoying themselves after a few short lessons. The internet is ripe with websites for buying, learning and chatting all things uke. Ian Whitcomb does a fantastic job of explaining how the musical groundwork was laid, where it might go, and why it all matters.